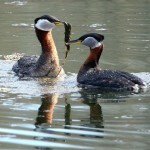 Observers look for Red-necked Grebes in Dyer’s Bay. 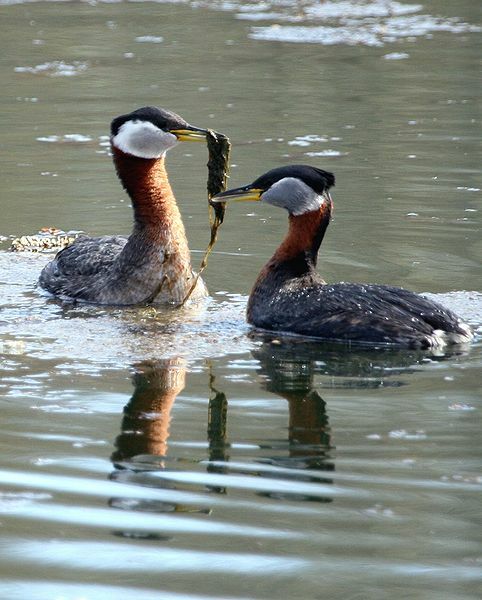 Red-necked Grebes performing a courtship display. 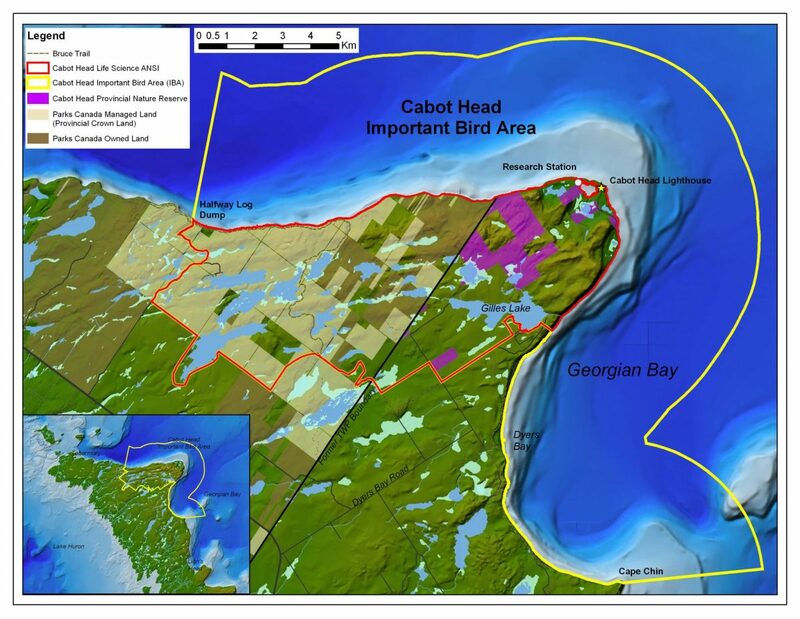 population uses the nearshore waters of Dyer’s Bay as a staging area during their migration from the Atlantic Ocean to the interior of North America. 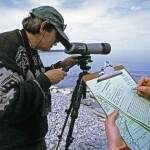 2010 marked the 10th year that RNGR surveys have taken place. 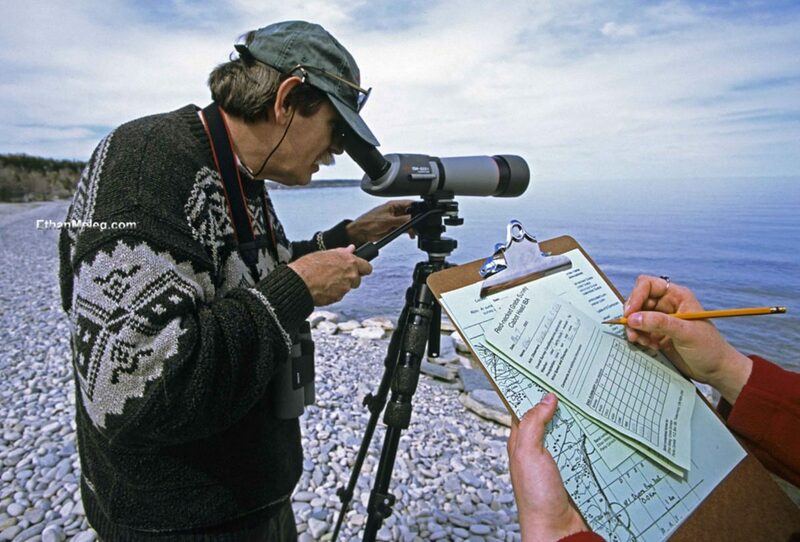 Over the years, the protocols have changed from twice weekly observations at five points along the Dyer’s Bay shoreline during the Spring migration only, to daily observations of a single optimal location. These observations are completed both in the morning and afternoon, for a period of almost three months in the Spring and four months during Fall migration. The new protocols appear to be yielding useful information, not only about RNGR numbers during migration, but also on their movements in and out of the IBA.